One of the best perks of my job is what we call PGL: Personal Growth Leave. Starting during our 10th year and every following 5 years we must take a mandatory month off with pay (4 consecutive weeks). This is something I’ve been looking forward to since I started at my job. My first PGL starts now. My wife was also able to get the month off and in another 5 years my older son may be off to college and starting his own life. So, my family decided that this was our opportunity to take the trip of a lifetime to see some of the most beautiful locations in our country. 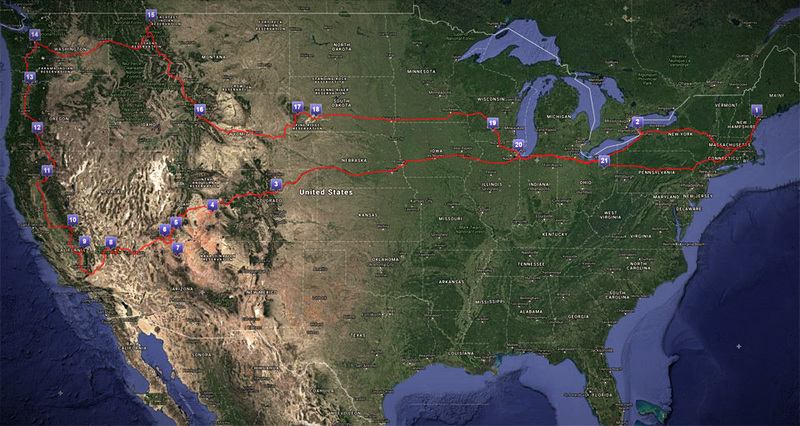 We are taking the whole month of July and driving around the country to visit national parks, cities and other choice locations. It’ll be a mad dash and by the end I suspect we’ll be more tired than we started. But hopefully we’ll be making memories that will last our lifetimes. Stories that we’ll tell when we gather for the holidays. Adventures that our kids can recreate with their kids. Eventually there will be a slew of blog posts from the trip, but until then stay tuned to my social media locations for photos, updates and more. This entry was posted in Life, Travel and tagged Family, National Parks, Road Trip, Travel. Bookmark the permalink.